Practice and repetition is essential for on-court success in tennis. Packed full with drills designed to improve consistency, eliminate weaknesses in a player's game, and enable them to become more strategically sound, The Tennis Drill Book is the guide to winning more matches. 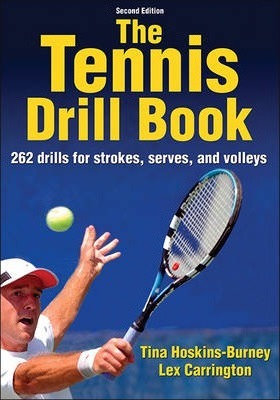 It contains the most comprehensive and effective drills for every aspect of the game and whether they are new to the game and looking for fun drills to learn how to consistently hit your first serve or an experienced player just looking to improve court movement and anticipation, The Tennis Drill Book has it covered. So before any player takes to the court again and makes the same mistakes over and over, they should first pick up a copy of The Tennis Drill Book and turn those unforced errors into winners and those double faults turn into aces. This is the foundation for good tennis performance.